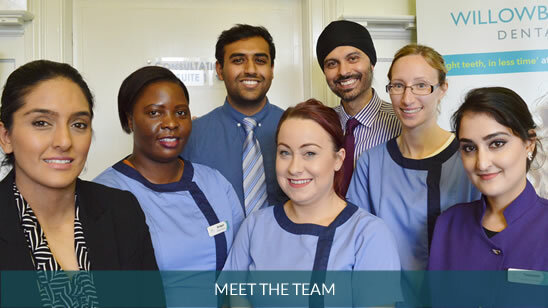 Welcome to Willowbrook Dental Practice, where you can expect a friendly, caring, and professional service with high quality dentistry in Leicester. We provide both NHS and Private dental treatments and our team are pleased to offer a full range of dental services including general, cosmetic, preventative, restorative dentistry, specialist orthodontics, dentures, and much more. Willowbrook Dental Practice offers a range of high quality dental services with one goal in mind, “to create beautiful, confident smiles for life”. New safe and painless techniques have been developed that preserve your natural tooth structure and create amazing natural transformations. From white (tooth coloured fillings) to cosmetic bonding procedures, and teeth alignment procedures to create a naturally beautiful smile. Our team take the time to ensure we do everything possible to make your teeth the best they can be and help you keep them healthy for life. You can trust our practice and our intuitive gentle touch to provide you a service you can rely upon for healthier teeth and gum, and above all a smile to be proud off. Our first-class service and a relaxed and considerate approach ensure an enjoyable transition to an attractive smile and healthy mouth. Our dentists are committed to providing the latest dental techniques by continuing their professional development through advanced training. Please browse the Portfolio and check out the Testimonials to see some of the amazing things our patients have said about their experience at our practice. A simple dental maintenance plan offered at Willowbrook Dental to new and existing practice patients which covers routine dental examinations and hygiene and additional membership benefits as explained on the membership brochure for as little as 35 pence a day. 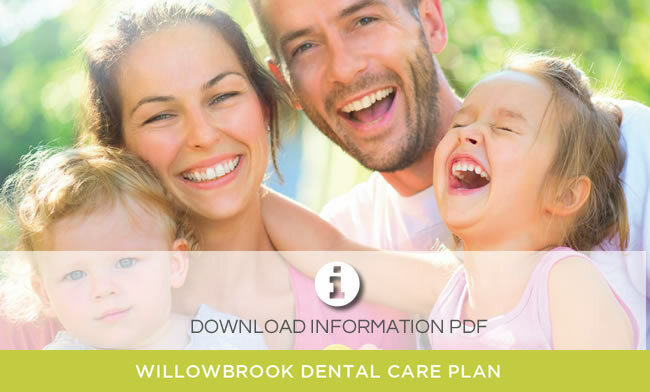 (Click the Willowbrook care Plan image to see our PDF brochure. We welcome any questions you have so please drop us an email or call us on 0116 2621151 to arrange a consultation and take the first step to enjoying the confidence a great smile brings. Excellent dental service provided, Dr Kalsi explains the procedure and is extremely calming and caring. I have every confidence. Really brilliant. I have every confidence and all the staff are most helpful. Dentist and staff are extremely friendly & very helpful. The treatment, I personally, believe is extremely good. I would be more than happy to recommend to my friends and family. I have been a patient with this dental practice since a child, I really wouldn’t want to go anywhere else as they all treat you so well and the staff are all very friendly.